Here are some of the key arguments, including what's changed. Transmit power: Class A transmits at a higher power than class B. On the surface (pun intended) you might then expect to be detected by ships further away, giving more time to adjust course, etc. The reality is that your antenna height will limit your transmit range way before transmit power will. And how far away do you need to see a ship to avoid it anyway? More frequent transmissions: Both Class A and Class B adjust the frequency of position reports based on your speed. The faster you are moving, the more frequently your position gets transmitted. But for any given speed, class A transmits more often so other boats have a more current view of your whereabouts. Unless you are trying to perform ballet with another boat, I don't think this makes any significant difference. 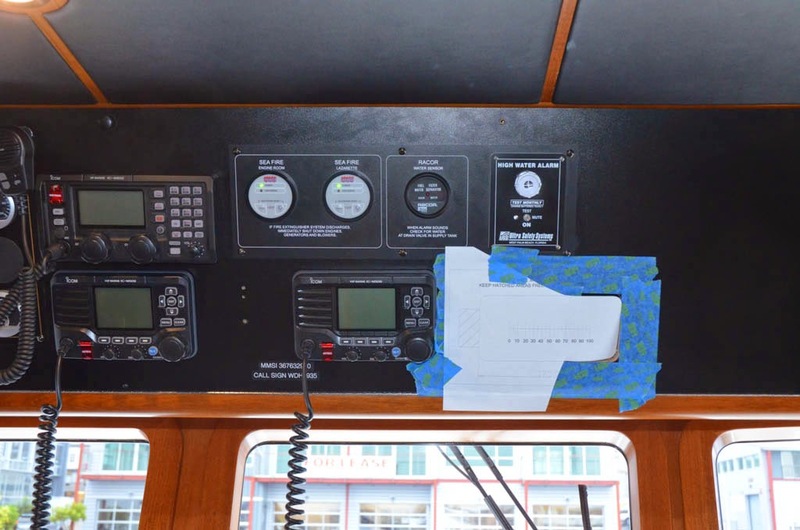 After all, AIS is about keeping clear of other boats, not to aid close-in maneuvering. Access algorithm: Class A uses a different access algorithm to slot in all the ships that want to transmit their position. Everyone essentially gets a negotiated time slot when they can talk. This is the way digital phone systems work. Class B, on the other hand, uses a collision detection algorithm. It's like a people talking in a group. If two start talking at the same time, they stop, pause, then restart. Eventually one wins out. Lots of people fear that you can get blocked out in such a system. But you know the ethernet networks that the entire world has been running on for around 30 years? Well, up until gigabit networks, all of them operate on this simple yet effective algorithm. And nobody seems to be getting blocked out. Big ships selectively ignore Class B targets: This always struck me as ridiculous, but are the words I now get to eat. What captain in their right mind would elect to ignore certain boats, right? Are some boats OK to plow down, but not others? After all, the rules of the road make no distinction between different size boats. There is no such thing as "the rule of tonnage". I have challenged people to show me a nav system with an "ignore class B targets" button, and nobody has produced one, so I always took it as a myth. Not so. It turns out that the very navigation software package that I use has just such a check box. Oops. Worse yet, I discovered that Puget Sound and Seattle vessel traffic services do not receive Class B. So the guys who are guiding the ships around and tell them when it's clear to cross the shipping lanes and when it's not, can't see you if you have Class B. Now in my book that is down-right negligent, but it is what it is. 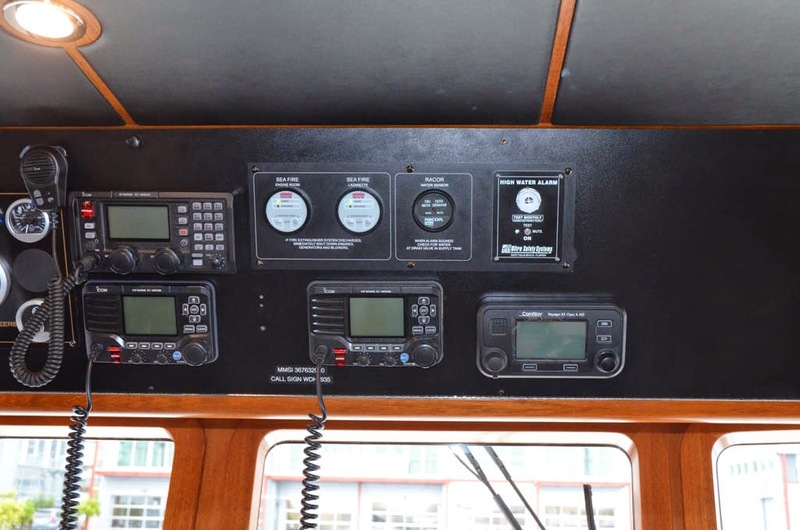 So with all the other Simrad gear getting removed from my boat, I decided to include the Class B AIS and replace it with a Class A device. Then the question was, which one? Furuno's FA150 is a very popular device and seems to carry an excellent reputation. The problem for me was that it's gigantic. 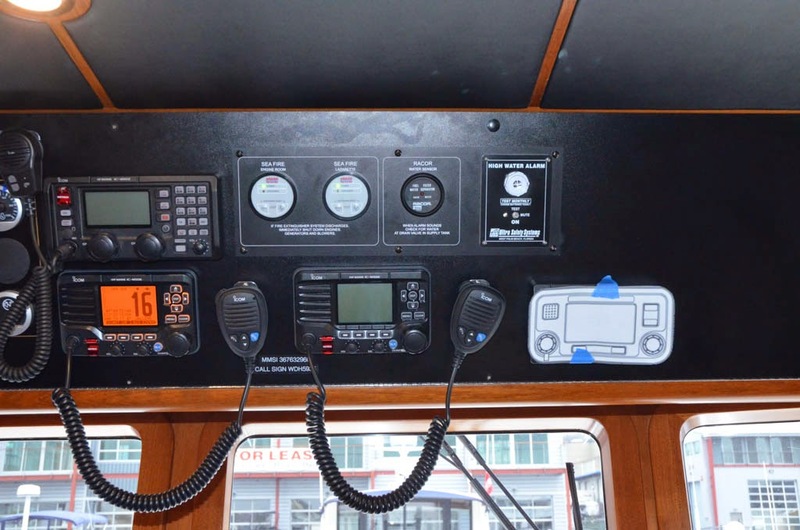 The control panel isn't too bad - about the same size as a typical VHF - but the main box is the size of a brief case. I'm getting tight on space already, and one of the new radars is gigantic too. So I kept looking. The first four are all identical, and are made by SRT in the UK. It actually looks like SRT makes most of the AISs out there in both class A and B. The AMEC device is made by AllTech in Taiwan. The device looks nice, but after all the hassles I've had with equipment not performing to expectations, I didn't want to experiment anymore. The various SRT clones all seem to get good owner feedback, so I decided to get one of them. The rest turned into a buying exercise, and I found a ComNav unit for just under $2000 which was pretty darn good. Oh, and I forgot to mention that all the other devices listed above have a much smaller footprint than the Furuno. The control head is the same size as the furuno, but there is no brief case size control box, but rather a small junction box for wiring everything up, making for a much easier installation. The next step was deciding where to put everything. The picture below shows one of the few spaces where we still have room for a control panel, but it's kind of hard to reach. I made a variety of these little full size pin-ups to figure out where to put all the new electronics parts. In the end I moved the AIS over to the left as far as possible so my wife can more easily reach it. It's a stretch either way, but fortunately it doesn't need to be fussed with much. And a little while later, presto, we have an AIS control head. A little more work to install and wire up the junction box, and we are in business. But there's more too it. 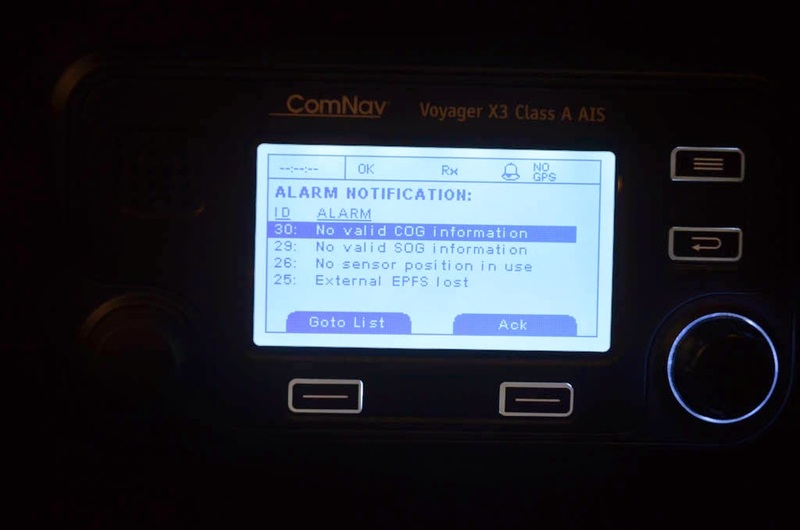 As IMO certified devices, Class A AIS is NMEA 0183 only. N2K is not approved for IMO use. So this has required some creative converter use, and a few discoveries along the way. The AIS has six 0183 ports. Three are input-only and are intended for various sensor inputs like heading, position, speed, etc. Even thought the AIS has it's own built-in GPS, it is meant as a backup only. You have to provide external GPS info and External heading info. And the heading has to be a True heading in the form of the HDT sentence. Plus, all the AIS info needs to get out on the N2K bus so it can be displayed on Coastal Explorer, etc. The challenge is figuring out how to do all this with something less than three different converters. According to their manuals, only the Furuno converter will product HDT, but it won't handle AIS info at the same time. Also, according to the AIS manual, you can use any port for any data. Luck was with me when I discovered that a new converter I decided to try actually can do AIS, GPS, and HDT info all at the same time. This adapter is the NK-80 made by AMEC - remember the guys above who make the other Class A AIS device - well I decided to give it a try. So far, I'm really pleased with it. Because the AIS can accept any data on any port, and because the converter can convert everything, it looked like I could use a single converter. Not so fast, I'm afraid. It turns out the AIS doesn't work exactly as the manual says. You need to give it the heading and GPS data on one of the input-only ports. It won't accept it on the input-output ports. But, there is a simple cheat. I just wired the converter's output to both ports on the AIS. It's getting more data than it needs on each port, but that is typically the case and doesn't really matter as long is it's not overflowing the device. So far so good. Since making that last change it's been working non-stop and can be tracked on MarineTraffic.com or your favorite site. I think the AIS Class B filtering-controversy was started by an option in Furuno's FAR-2xx7 series radar *cough* :). With regard to your new big radar and given your 24" monitor's excess horizontal resolution, I was wondering if you've considered replacing one of your 24" monitors for a 19" one, to create space for the fish finder? Yes, that options does indeed exist in the FAR2xx7 radars. But someone said that it only shuts off alarming or something like that and that it doesn't completely erase them. I'll let you know for sure once I get it installed. As for the monitor, I plan to keep the 24". Having all the monitors be the same let's me cross connect them so if one fails I can display the same data on one of the remaining monitors with just the press of a button or two. And I think with the 24", the physical size of the radar image will be about the same as it would be on a 19" monitor. Plus I don't want to buy another multi-thousand dollar monitor. I've actually come up with a new dash layout that fits everything in a pretty good way. I'll post some pictures shortly.